Located in Franconia, Germany, Bamberg is ridiculously cute. I have to stop every second to take a picture of the colorful windows or the pastel walls. I knew Iceland would be expensive. But, I didn't know it'd be THAT expensive. Seriously, just take all my money. I can tell he has a lot of passion in what he does and it's been inspiring to see it come to life. We did some googling. Pictures of the white sand with turquoise water was all we needed to book our flight to paradise. "I felt I couldn't refuse, but doing it made me feel everything bad you could possibly feel; humiliated, depressed, furious. I felt like such a loser, standing there to sell myself." A must read for those traveling to Santiago, Chile. 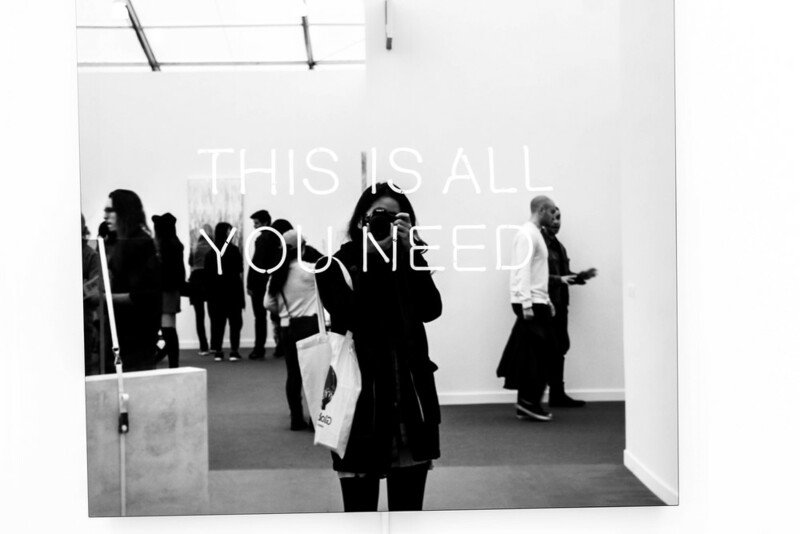 The Frieze Art Fair was a collection of 200 galleries around the world. It was held on Randall's Island during the first weekend of May. It was massive and a bit overwhelming. What was more impressive than some of the artwork was the people there. It was the place to stand out and be loud, strutting the over the top and I got things to say statements. Here is a snapshot of some of the artwork at the fair. Traveling has been my best educator. I've learned so much about myself and from the people I met along the way. There aren't many regrets I have in life that I want to redo over. But, there are few mistakes I have made during my travels that I'd never, EVER, want to make again. I had to close my eyes several times to take breaks from all the stunning views. No joke. WHY GO TO THE MOON WHEN YOU CAN GO TO SAN PEDRO DE ATACAMA? Let's be real. I'd love to go to the moon but not everybody got that Richard Branson's Virgin Galactic money. San Pedro de Atacama was the closest to being on the moon. This place was magical. Here is a visual journey to the moon and back. There's something magical about reading a book of that country while traveling through it. It gives me a deeper connection to the characters. The good, the bad, and the ugly of the 8 money-making books I've read so you don't have to. I can't believe I've hitchhiked. Coming from NYC, I've learned to avoid eye contacts and go the other way when a stranger starts to ask questions. Putting myself in a complete stranger's car and relying on them to take me to my destination was out of my comfort zone. Bravery is my parents escaping from a communist regime to start a new life in a country with no money or speaking a word of English. They are in a country that initially didn’t welcome them or accepted their weirdness. Every minor task was a struggle and returning back home was not an option. When people say I’m brave because I quit my job and travel the world makes me feel like an imposter. My boyfriend and I decided to spend a few days in Buenos Aires and Uruguay for the holidays. We were both in a funk, emotionally and professionally, so I was hoping this trip would ignite some passion back into our lives. Just a few days before our trip, he had issues with his job and needed to cut his trip short. I was disappointed but it wouldn't stop me from continuing onto Uruguay.